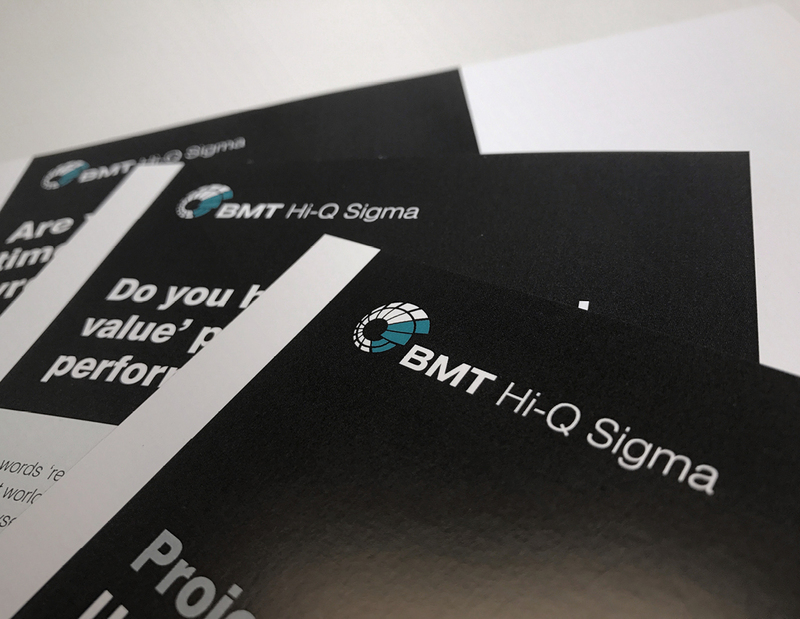 In May 2017 we were invited to meet with BMT Hi-Q Sigma to discuss developing their branding. design146 had previously worked with the client at Altus and were keen to be involved. BMT Hi-Q Sigma is a Management Consultancy, based in Bath, providing services across Government, Defence, Energy and Transport sectors to improve their portfolio, programme and project performance. They already have a set of existing brand guidelines, but needed some help to develop them further to show how they might be adapted to more flexible layouts that are efficient on space. To kick things off, we have worked on a branding development presentation and some Case Studies and White Papers. We’re looking forward to seeing how the branding develops as we work on other marketing collateral to include infographics, branded merchandise, and internal comms pieces.